A 20 June decision by the Supreme Court upholding US Patent and Trademark Office (USPTO) rules for inter partes review of patents isn’t helpful to patent owners, according to several attorneys. The ruling in Cuozzo Speed Technologies, LLC v. Lee (No. 15-446) disappointed expectations for another pro-patent holder decision following a 13 June ruling in another case, said Proskauer patent lawyer Baldassare Vinti. USPTO Director Michelle Lee, however, said the decision would allow the office to continue resolving patentability disputes via less expensive alternatives to litigation. Cuozzo involved a challenge to the inter partes review procedure, which allows a third party to ask the USPTO to re-examine the claims in an issued patent and to cancel any claims the office finds to be unpatentable because of prior art, the high court said. Garmin International, Inc. and Garmin USA, Inc. in 2012 sought inter partes review of all 20 claims of a patent held by Cuozzo, arguing that claim 17 was obvious in light of prior art, the decision said. The USPTO agreed to review claim 17 but also decided to look again at claims 10 and 14 because it determined them to be logically linked to the obviousness challenge to claim 17. Through its Patent Trial and Appeal Board (PTAB), the USPTO concluded that the claims were obvious, denied Cuozzo’s request to amend them, and cancelled all three. Cuozzo appealed to the US Court of Appeals for the Federal Circuit, claiming the office improperly investigated claims 10 and 14 under the inter partes procedure, and that the PTAB wrongly used the “broadest reasonable construction” (BRC) standard to interpret the claims rather than the standards used by courts which gives claims their “ordinary meaning … as understood by a person of skill in the art.” The Federal Court rejected both arguments. Moreover, it said, the BRC standard is a “reasonable exercise of the rulemaking authority granted to the Patent Office by statute.” The standard helps make claims-drafting more precise and prevents a patent from “tying up too much knowledge, which, in turn, helps members of the public draw useful information from the disclosed invention and understand the lawful limits of the claim,” it said. The standard has been in use for more than 100 years, it added. Cuozzo followed a 13 June decision, Halo Electronics, Inc. v. Pulse Electronics, Inc. et al., which was “well received by patent holders,” Vinti told Intellectual Property Watch. That case did away with a Federal Circuit two-part test for determining whether enhanced patent infringement damages should be awarded, saying the test was too rigid and encumbers courts’ discretion. “To the extent that patent holders were hoping for another pro-patent decision with Cuozzo, the Supreme Court threw cold water on that expectation because Cuozzo is not favorable for patent holders,” Vinti emailed. The only contrary argument in Cuozzo the high court appeared to take seriously involved the opportunity for patent holders to amend challenged claims, Columbia University law professor Ronald Mann blogged. Patent holders have “argued strenuously” that the PTAB’s “general unwillingness” to allow amendments during the inter partes review has made the BRC standard inequitable because when litigation occurs, courts use the less stringent “ordinary meaning” standard, he said. The decision is “so right, yet so wrong,” Villanova University Law Professor Michael Risch blogged. The unappealability of inter partes determinations “seems right to me” because “what part of ‘final and non-appealable’ do we not understand?” Risch wrote. But the decision is still unpalatable because of some decisions the USPTO has made, he said. The BRC standard also seems “entirely, well, broadly reasonable,” but is still wrong because the Supreme Court understated the difficulty of obtaining amendments to patents during the inter partes review, he said. A more liberal allowance of amendments would solve some of the problems of the BRC rule in reviews, he said. This is the first time the Supreme Court has addressed the conduct of PTAB Trials under the America Invents Act, and the Court’s opinion suggests that it believes that PTAB is on the right track,” Baker Botts LLP intellectual property attorney Eliot Williams said in a release. 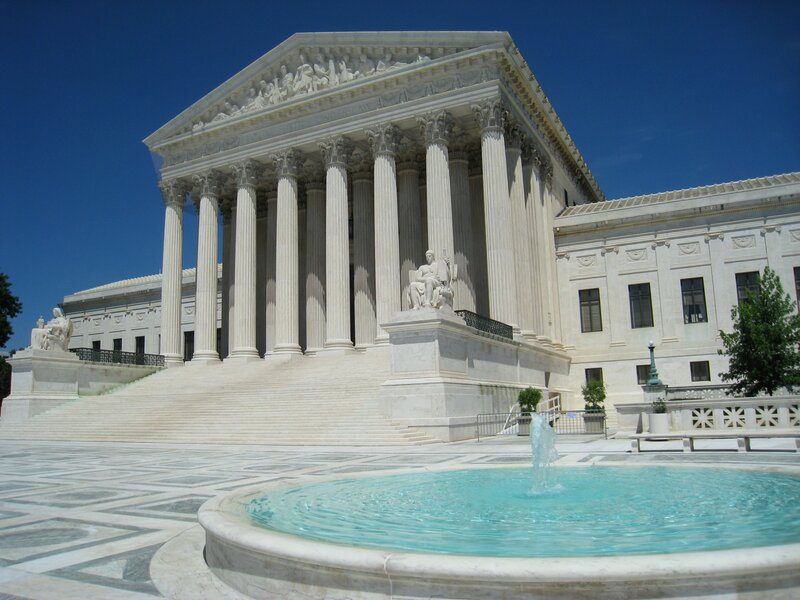 "US High Court Inter Partes Review Leaves Patent Holders Dissatisfied" by Intellectual Property Watch is licensed under a Creative Commons Attribution-NonCommercial-ShareAlike 4.0 International License.